Representatives from Costco #1172 in Baton Rouge, LA and Our Lady of the Lake Foundation celebrate raising $25,153 for Our Lady of the Lake Children’s Hospital. 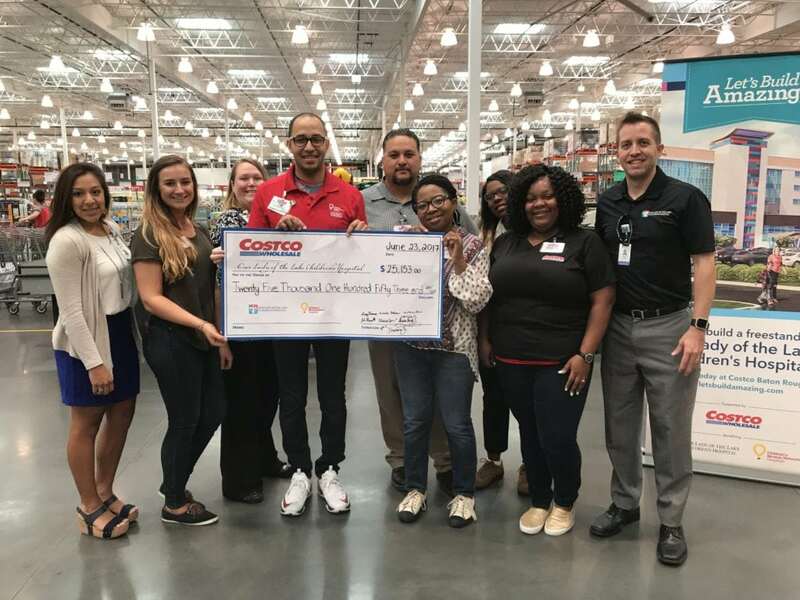 During the month of May, Costco #1172 in Baton Rouge, LA joined forces with Costco Wholesale Corp warehouses around the country to raise funds for Children’s Miracle Network Hospitals. Throughout their campaign, Costco Baton Rouge held a variety of fundraising activities and events inside their store inviting members, associates, and other businesses from the area to contribute donations to support Our Lady of the Lake Children’s Hospital. 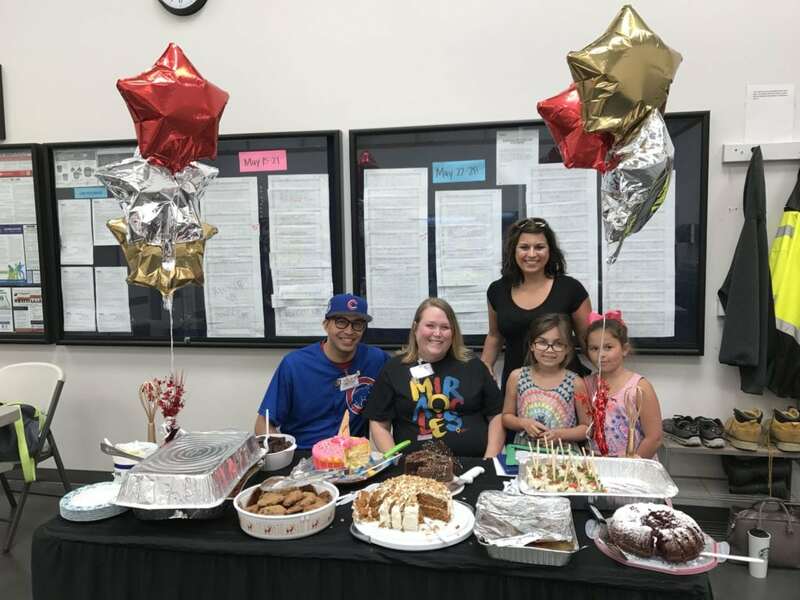 Membership Marketing Manager, Tim Bennett, and Wendi Adams, Business Marketing Representative hosted a bake sale with Our Lady of the Lake Children’s Hospital patient, Madisyn Duet, her sister, Austyn, and mom, Lindsay Cavalier. All proceeds from the Costco Baton Rouge campaign will help build the new freestanding Our Lady of the Lake Children’s Hospital, set to open in Summer of 2019. The new hospital will feature 6 floors covering more than 350,000 square feet of patient care space, an expanded, state-of-the-art emergency department with helipad, double the amount of current surgical and pediatric intensive care space, one full floor dedicated to pediatric oncology services, playrooms on every floor, a 95,000 square foot medical office building, a landscaped outdoor garden & plaza, and everything is designed with the pediatric patient in mind. To make a donation to Our Lady of the Lake Children’s Hospital, click here. Next post: Extra Life – Play Games. Heal Kids.